Even though hafnium was only founded about 100 years ago, it has become a very important metal for numerous industries. Hafnium is often found in electric equipment, light bulbs, and ceramic. It’s also used quite a bit in the nuclear power industry. Nonetheless, the average person probably doesn’t know a whole lot about hafnium. Check out some interesting facts about it below. It’s not usually found free out in nature. It’s rare to find hafnium free in nature. More often than not, it’s found in zirconium minerals. Hafnium is actually very similar to zirconium and is sometimes mistaken for it. It’s also very difficult to separate hafnium from zirconium. Hafnium doesn’t corrode like many other metals do. That’s because it forms an oxide film on the exterior of it that protects it. Water, air, and most acids are unable to have any effect on hafnium when they come into contact with it. It has an extremely high melting point. One of the reasons why hafnium has become a go-to metal in the nuclear power industry is because of its high melting point. 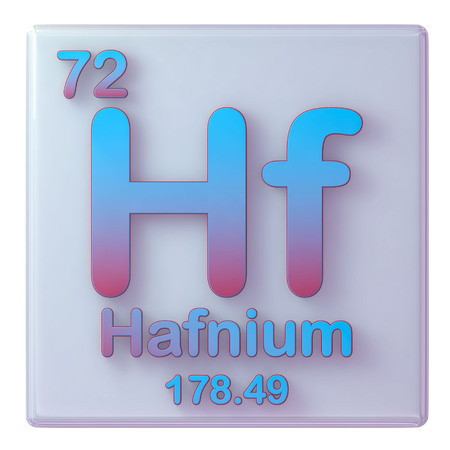 Hafnium actually has the highest melting point of all the two-element compounds that are out there. Its melting point sits at just over 7,030 degrees Fahrenheit. It helped researchers date the Earth’s crust. Hafnium played a key role in a recent study on the Earth’s layers conducted by a group of researchers. The researchers analyzed hafnium found in a meteorite to reveal that the Earth’s crust likely formed for the first time about 4.5 billion years ago. Would you like to find out more about hafnium or learn the prices for hafnium bars, rods, sheets, foil, and wire? Call Eagle Alloys at 800-237-9012 today to get the information you need on this rare metal.